The idea of super wines is something relatively new to the general public, but the concept of super wines has been familiar to lovers of true Italian wine for a while. Specifically, those who are in the know are aware of Super Tuscan wines. Super Tuscan wines have a long history that dates back to the early 1970s. Originally they were blends that were not able to receive a DoC designation, and were often referred to as table wines. As time went on, the name began to be applied to blends, usually red blends of a Bordeaux nature, which are produced from varietals that were grown outside of the allowed Chianti zone. The high quality of these wines, means that the makers wanted to designate them apart from the previously labeled “table wines” which were usually low quality and inexpensive. The name Super Tuscan is now synonymous with some of the best quality blended wines and specialty vintages produced in the country. One of the most recognized areas for Super Tuscan wine is the small community area known as Bolgheri. Bolgheri, an area whose population is less than 300, is located 130 km southwest of Florence. The drive from Florence to Bolgheri is about four hours, sometimes less depending on traffic, but it is well worth it. The area is the heart of the Super Tuscan wine movement. 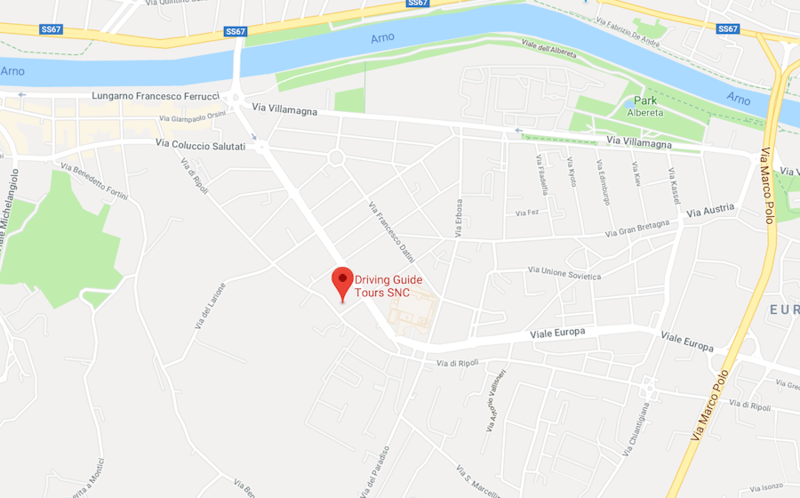 This is a zone recommended only to those wine lovers who can truly appreciate wine quality and want to take a top quality wine-tasting tour from Florence, Lucca, Livorno or Pisa. While wines produced here are of incomparable standards, the historical attractions of this area are not as rich as the other popular areas of Tuscany such as Chianti, Montalcino, or Montepulciano. That is not to say that there is not a lot to enjoy in the dream and if you are a wine fan, Bolgheri is a true wine-tasting dream. There are several cellars that offer tastings of the tantalizing and exciting blends and specialty vintages that are produced here. When taking this tour, we highly recommend that you spend the day learning about the types of blends and the different specialty vintages that are produced in the area. This will help you to better appreciate what you are tasting, and the importance of these Super Tuscan wines to the industry. There is a reason why these wines are referred to as the “Nectar of the Gods” and one taste will surely convert you into agreement with the statement. While on this tour we will visit wineries that are world renowned for the best Italian reds, as well as some other wines that you may not think of as part of the Super Tuscan movement. These wineries include the Tenute Ornellaia, where you will enjoy “Le Volte”, “Serre Nuove”, “Masseto” and “Ornellaia” itself. These wines are among the most exciting and interesting in the market today, and this tour offers you the chance to experience them in their purest form. Next, we suggest a trip to one of the undiscovered “secret treasures” of the area, Petra Winery, known as The Wine Cathedral, it is a leader of the Italian wine industry. One of the most attractive wineries ever built in the world is not only the result of a major financial investment but also of the artistic efforts of one of the most famous world contemporary architects. The designer was given freedom to fully express his talent, resulting in what has been described by specialized journalists as “The Wine Cathedral”. A third winery could be added. On limited days and with long anticipation, we could include in our tours the famous Tenuta San Guido, the producer of “Guidalberto” and “Sassicaia”, that you will sample. Along with these offerings, there are about 10 other wineries we could offer you as alternatives. Feel free to discuss your tastes with us, and we will be happy to help you select the best wineries in the Bolgheri region that fit your interests. Of course, you need to make sure that you are balancing wine tasting and winery tours with other activities during Super Tuscan wine tours to Bolgheri from Florence, Pisa, Lucca or Livorno. There are not a lot of other activities in the Bolgheri region, which is not associated with wine, but that doesn’t mean that there are not a lot of options nearby. In Florence and Pisa, you can find lots of popular tourist attractions, Lucca is a major city that offers a lot of hotels, restaurants, and shopping outlets, and in Siena, you can enjoy a wide variety of cultural and historical activities such as churches, museums, and galleries. While Bolgheri may not offer a lot in and of itself, it is an excellent option to add to a much broader range of activities and get a day or even two of experiences with amazing Super Tuscan wines. Day tours originating from Florence, Pisa, Lucca or Livorno offer you a chance to visit some of the best wine locations in the region and still be able to enjoy all that these three old and amazing cities have to offer in the evenings.